Please read this declaration carefully as it is binding on both parties. Any independent care adviser is individually and solely responsible for the information and advice that they provide, and any associated insurance requirements. In recognition of your commitment to quality assured care advice, once notified that you have been awarded the SOLLA Care Advice Standard a care adviser may use the SOLLA Care logo on their own promotional material. This does not extend to a corporate promotion if a care adviser is part of a larger organisation. SOLLA Care reserves the refuse the award of the SOLLA Care Advice Standard and to withdraw a care adviser from the register, scheme, site and any promotion if found in breach of any of the agreed terms and conditions. This includes the right to remove the use of the logo from the care adviser and associated promotional material. What are the benefits of the Care Advice Standard? How may I make reference to my Care Advice Standard? You will be entitled to use the Care Advice Standard logo for marketing purposes. Your details will appear on the Care Advice Standard website, but not on the SOLLA website, and you may openly state that you are a Care Standard holder. As a Care Advice Standard holder you may provide a link to SOLLA website from your own website. Any references you make to the Care Advice Standard must relate to you as an individual member and not to your wider organisation or group. The standard is an individual standard, and use of the logo should not in any way imply that the standard is that of the wider firm, organisation or department therein. 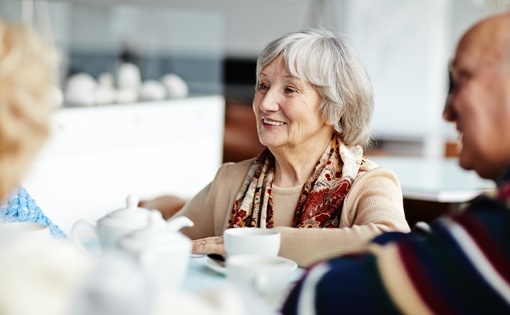 Care Advice Standard holders must inform SOLLA immediately if their circumstances change, specifically in any changes that may impact your eligibility for the standard. At the end of your Care Advice Standard, you are required to remove the Care Advice Standard logo from all literature, letterheads, brochures, websites and other promotional and information material used in the conduct of its business within sixty days. SOLLA’s data protection statement can be found at www.societyoflaterlifeadvisers.co.uk/privacy-policy. Your details will be stored on our customer database. We may use your personal data for future e-mail mailings, general correspondence and correspondence which may relate to you. We will not share your data with third parties. If you would rather not receive future marketing e-mails from us please inform us by e-mail admin@societyoflaterlifeadvisers.co.uk. SOLLA Enterprises Ltd does not provide care advice. This is provided by the individual Care Advice Standard holders.